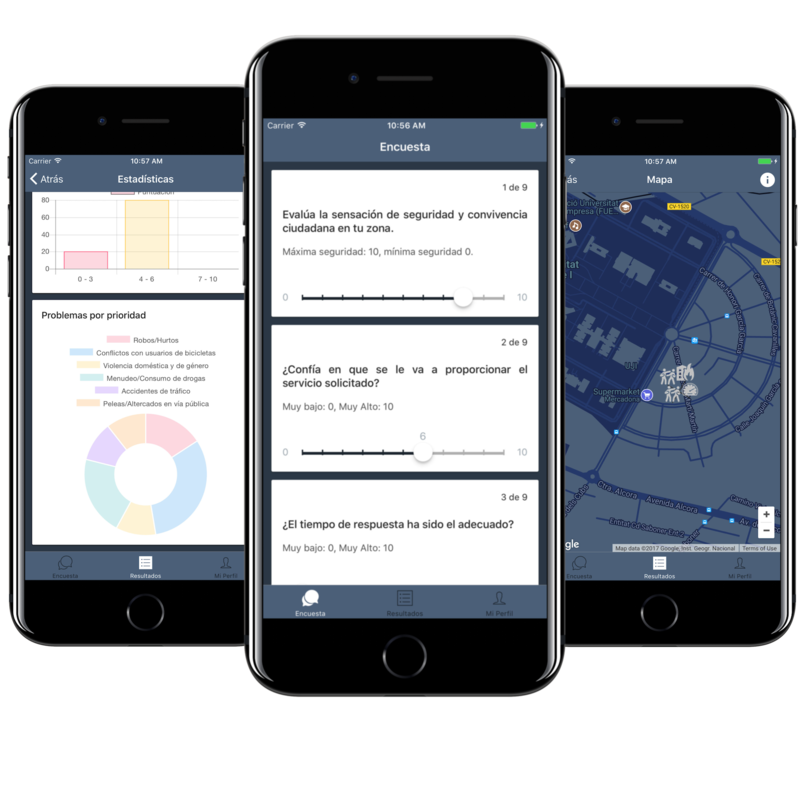 The main objective of the app is to build a security feeling map, besides it will evaluate the actions of the police and promote citizen participation among residents in Castelló de la Plana. This mobile app is one of the tools enclosed in MESPol project, which consists also in an administration panel, to configure campaigns, questions and the target audience and a landing page. In the administration panel the Police of Castelló can prepare campaigns and questions to be addressed to the citizenship. At the end of each campaign, citizens feedback will be evaluated taking it into consideration for decision-making, thus, police actions can be prepared based on the results. The app can be downloaded on iOS and Android from the landing page or in the apps market and users can answer anonymously the current campaign.